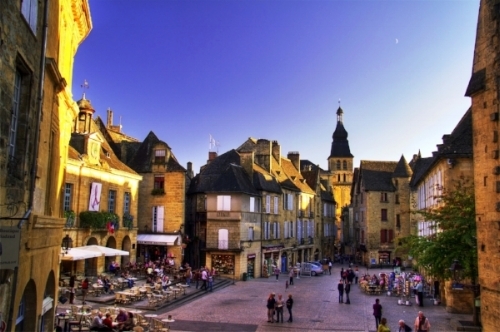 Dordogne, france “land of a thousand castles”! October 20-27, 2018 ~ sold out!! Situated in South-West France, Chateau de Bardouly is located between Bordeaux and Toulouse in the Perigord Pourpre region of the Dordogne which makes it the perfect central location from which to explore the region, also known as the ‘Pays de Bergerac’. This area is renowned for its exquisite local cuisine, fine wines of Bordeaux, quiet countryside and delightful market towns. Henri Miller described best the Dordogne where Chateau de Bardouly is located as ‘the Paradise of France, this beautiful area of South-West of France, where the landscapes seduces by its softness, by the harmony between nature and architecture; where the climate is temperate and welcoming; where the people still seem to have time’. Bardouly, a Perigordian Chateau brimming with the charm & nobility of its 400 years of existence was built during the reign of Henry IV. The house maintains its original features including a panelled dining room that was installed by the same artisan that completed the state rooms at Versailles. Many illustrious visitors spent time at Bardouly during the 20th century such as Charles de Gaulle & John D Rockefeller. Our group will occupy the chateau and enjoy absolute privacy within the meticulously maintained estate. Chateau de Bardouly includes a delightful, heated swimming pool and hard surface tennis court as well as a lake surrounded by ancient oaks and an overflowing fruit orchard. It will be easy to enjoy the tranquility strolling or hiking through the 100 acres of exquisite wooded hills and fields. Click to Save your space! Payment schedule for Oct 6-13 - $500.00 non-refundable deposit is required to hold your spot - Remaining balance is due August 15. Payment schedule for Oct 20-27 - $500 non- refundable deposit is required to hold your spot - $600.00 installment due April 15 - Remaining balance is due August 15.
click here to pay the initial deposit! !